Successfully Added GPRS Modem Dongle to your Shopping Cart. 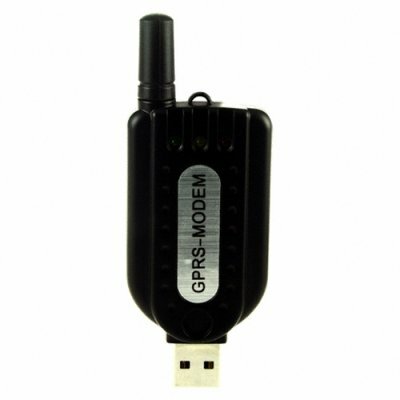 With this excellent GPRS Modem Dongle, you can use your mobile phone providers SIM card to get access to the internet, MMS, SMS, and make and receive calls. Perfect for when you are away from access to a WiFi network (802.11b/g) and need to keep up to date. Simple to use just put your SIM card into the modem and then your modem into the PC. Source this extremely useful wireless internet connection product from Chinavasion and be among the select few who have such cutting edge high-tech products. See the specifications below for more product information and important notes on use. Support Voice, SMS, Data transmit. Is this modem 3G? No, this modem is not 3G. If you would like a 3G modem, please see our High Speed 3G USB Modem - EDGE and HSDPA (CVSB-828).